PRODUCT OF THE WEEK OFFER ENDS IN -1 days, -10h, -1min, -29s – DON’T MISS IT! 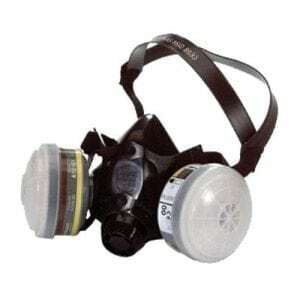 Black high performance twin filter (Class 1) half mask respirator. Lightweight and low profile ergonomic design of the face piece gives high levels of user acceptance. Please note: When ordering products available on backorder we will contact you within one working day to advise you on delivery time, typically within 7 days. All prices include VAT and apply to single items unless stated otherwise. Items sold in packs only. Please refer to pack size when purchasing. Our voucher codes cannot be used in conjunction with any other offer, on bulk order discounts or on sale items. We will always give you the biggest discount available. Copyright © 2019 Express Safety. All Rights Reserved.